I have been tearing my hair out over a problem with dates and timezones. 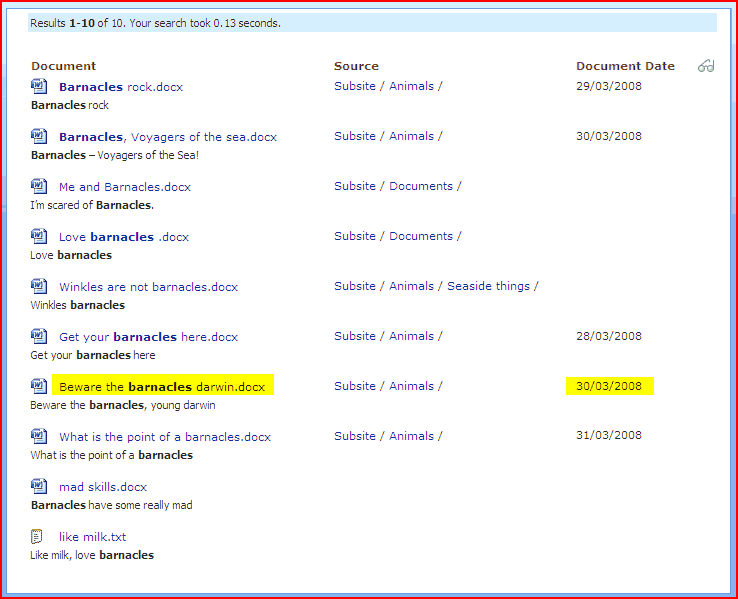 We have a site column ‘Document Date’ that we are using in our search results page. It only holds a date. This is correct. 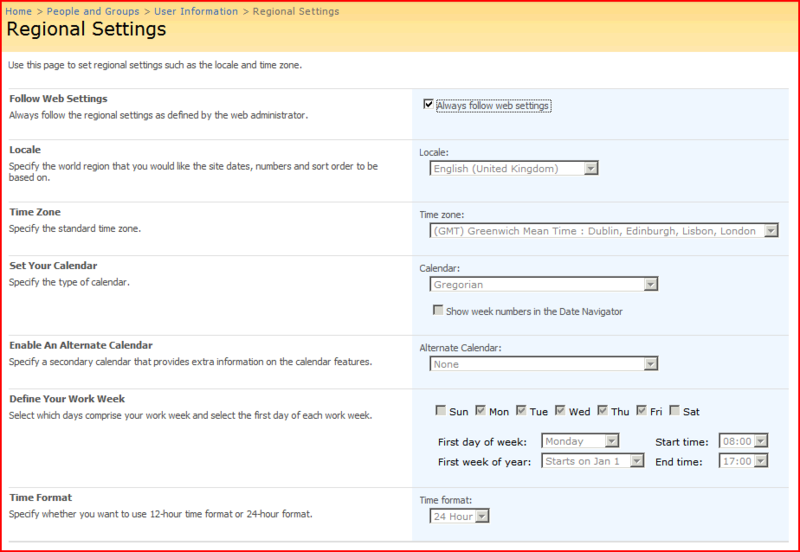 SharePoint actually holds dates as DateTime columns, with the time portion set to zero hundred hours (0:00:00). 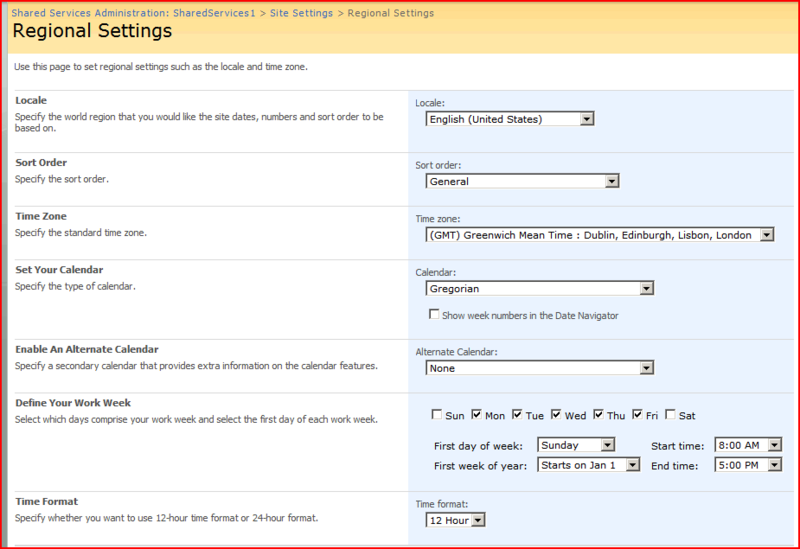 During the summer time, the UK is on GMT+1, whereas SharePoint always just uses UTC (which for all practical purposes in SharePoint is the same as GMT). Thus, to correct for summer time, our date ( 2008-05-08 0:00:00 ) gets clocked back an hour to UTC time ( 2008-05-07 23:00 ). You can see this happening for the first day of British Summer Time on the line highlighted in yellow. To reiterate, this is entirely correct. 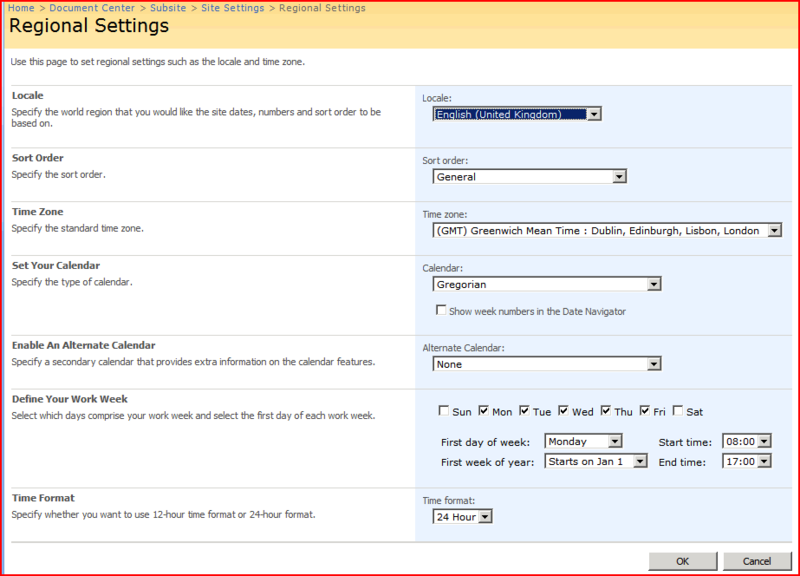 All times in SharePoint are stored as UTC, and then adjusted to the local time when it comes to presentation. 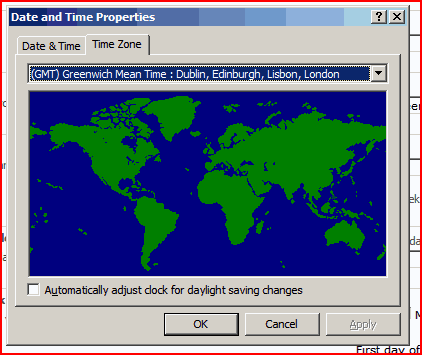 Thus, offices in London, Tokyo and New York all use the same ‘clock’ when storing things (the UTC time), but will adjust the displayed time appropriately. However, looking at our search results, we can see that the date we’re getting is now wrong, due to this time zone shift. The subtraction of an hour moves us into the day before, so our date is wrong! We really don’t want this time shift – heck, we don’t even want the time part, and our customer is entirely within one time-zone. Therefore, the problem seems to be that the Shared Service Provider isn’t using the same timezone for crawling the content as is used by the users. … the document date value shown in the search results was correct! So, it should work okay, but there is something different between my system and theirs. So, what’s different? Next, I checked the server’s own time settings. Their server was set to GMT, but not adjusting for daylight savings time. I set mine the same, rebooted and reindexed – and started to get the same problem! A bit more testing showed that only the changing the ‘Automatically adjust clock for daylight saving changes‘ and the reboot are actually required. This is pretty interesting as it does mean that the search index and query server must work in UTC time too. I guess that makes sense. Anyway, if you have this problem, the short answer is enable adjusting the servers clock for daylight saving, and reboot.